BotsCrew is the global leader in Chatbots Development with offices located in London, England and Lviv, Ukraine. With ChatrHub... Automatically chat and text with customers. Use pre-designed or custom conversation workflows. Get started with an easy-to-install chat widget - and add it anywhere you want! Transfer conversations from the AI chatbot to a live agent. Measure conversion and resolution rates, and use data to make improvements. Maintain a central repository of conversations for future reference. 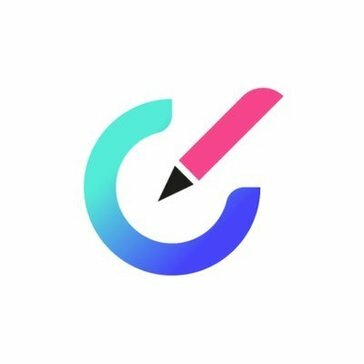 Cliengo is a chatbot platform that helps you convert website visitors into customers. Clohc allows you to interact in real time with visitors of your website, improve ticket management, automate helpdesk tasks and reduce IT requirements as well and customer service staff needs. With Clohc you can completely manage any issue, from the moment they enter our system until their resolution. You can also associate tasks with clients, manage your work team, and chat in real time with them. CogniCor is the provider of Cognitive Digital Assistant for Business. The AI based technology empowers businesses to respond instantly to client questions. ConverSight.ai - Access your business data like Google & Siri-like natural language and voice based interface. This conversational Business Insights platform delivers actionable business insights in real time. This SaaS platform greatly eliminates the need for tedious report generation and analysis, reducing our customers’ enterprise reporting costs by over 50%. A smart and easy to implement conversational chatbot platform. Every Bot+Live chat is 100% customized as per your Business requirement. Do You Dream Up is a self-service, automated chat solutions for support. Not only does our system enable quicker and smarter responses for your agents and thus increases employee satisfaction, it also automates more and more repetitive and recurring questions since your AI will constantly learn. Take your organisation into the future with a cost-effective, fully managed, turn-key chatbot from Ambit. 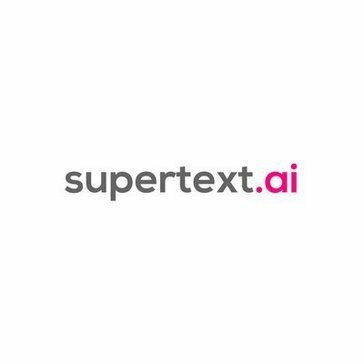 Bots built on our next-generation, conversational artificial intelligence platform blend scripts, natural language processing technology and machine learning to deliver a natural and realistic chat experience. Whether your business offering is products, services, excellent employee experiences, or software development for your own clients, talk to us about how Ambit can support you. BlackBeltHelp’s Artificial Intelligence product addresses the challenges in IT support in Higher Education. Anything simple starting with information on Learning Management system, computers, desktop, smart phones, network connectivity, printer or scanners can be addressed within seconds resulting in high level of engagement and students’ satisfaction rate. AI Assistant Platform for the Intelligent Enterprise that offers multi-skilled assistant for scheduling, recruiting and project management and more, Powered by proprietary MetaFlow™ Engine for natural language understanding, reasoning & planning, Evie supports custom integrations with CRM, ATS and ERP systems. The MetaFlow’s extensible skills module also enables Evie to acquire new abilities to support every function within the organization. Evie is truly an enterprise-grade platform that supports private cloud and on-premise deployments needed in highly regulated and sensitive industries. Faqbot builds a FAQ database based on your existing FAQs content and response to same questions that are formulated differently. It learns from each conversation to improve its responses. 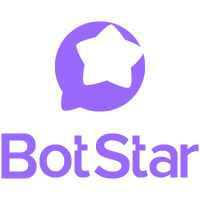 Floatbot is Omni-Channel Customer Engagement AI Chatbot Platform with live chat support. Flow XO for Chat is our feature-rich chatbot platform that allows anyone to create code-free online chatbots (bots) quickly and easily. Abby is an avatar that uses artificial intelligence, natural language, and speech recognition to engage customers. Hellomybot.io is a simple tool to create and manage conversational agents for websites or smartspeakers and improve lead conversion rate. Through advanced natural language comprehension capabilities it is possible to establish and offer a Chatbot that converses and interacts as a human being. HiBot is 24 hours a day, 7 days a week, available to your customer. Be sure to sell or interact with your audience! Himalayan Base is a web based pre-sales software that helps convert website visitors to sales leads. The tool automatically interacts with every website visitor, identifies their need/interest and displays lead profiles on priority basis. Interactions with every website visitor is personalized based on web pages visited, actions on website, location,etc. The tool provides a wide array of sales intelligence data about the prospect like analytics data, contact data, business data and social data. Replacing surveys with chatbot conversations. Hubert is able to analyze responses in real-time and react to the response immediately. To present the essence from the conversations, Hubert has a built-in text analytics service. Automate 80% of your requests. Provide 24x7 self-service and let Bots handle the FAQs. POP allows you to segment and filter your audience to send targeted messages, creating a more personal connection than ever before. Reach your audience directly on messaging apps.Reach 100% of your subscribers with 94% average open rates. Ideta is for all companies, whatever their expertise, industry or size, that want to create their own chatbot/voicebot by using all communication channels and NLP technology. Ideta is the solution that allows the development of Virtual assistants on several communication channels while keeping code and data ownership. IMIbot.ai is a modular AI platform for the end-to-end delivery of automated conversational experiences across the customer lifecycle. As one of the best chatbots on the market, online virtual assistants can answer questions, fill in forms and help customers make transactions in a conversational way. InteliWise Virtual Assistant is an intelligent, automated chat that resolves frequent customer issues. Self-service software that automates the process of delivering answers to customer questions. IntelliTicks engages your visitors using intelligent conversations and connects the HOT prospects with your best reps in Real Time. IOdesk is an online help desk software powered by AI, supercharging your customer support and customer relations. Are you tired of answering the same questions over and over? With Lydia our AI you don't have to do that anymore. Lydia will act as a new super employee for you! Lydia helps your customers by speaking to them as a normal human being, analyzing their questions and giving them answers based on what she has learned by earlier support tickets. Connect with your customers the way you want! We offer AI-supported chat, forms, mailing, self-service FAQ:s and much much more! Regardless what language your customer may speak, Lydia can interact with them in their own language! Be it English, Swedish, Japanese, German or even Klingon, yes Klingon. Jantana uses historical data to automate Zendesk replies. Kaori offers japanese virtual assistant solutions. LISA is an Artificial Intelligent Chatbot for hotels that assists in all matters related to booking and customer interface. Pull deep insights from a sea of customer data. Make genius decisions. Do months of work in one day. Get big-brain assistance across research and media. The most advanced and accurate symptom checker for triage and decision-making support. Membit is the only off-the-shelf AI chatbot solution for enterprises. Membit provides built-in modules and ready made processes that make integration with organizations CRM/ERP systems incredibly easy. We are building the next generation consumer chat platform that integrates deeply with FB Messenger so as to enable fun, personal ongoing conversations between brands and their customers, at scale. nativeMsg is a Chicago company providing a single platform to create, manage and deploy automated, intelligent messaging experiences across multiple channels (SMS/MMS/RCS, Messenger, Twitter, Alexa, web chat, and more). They are an early leader in the new 5G RCS business messaging space. RCS is a new exciting channel that moves features of a native mobile application into the native SMS inbox of a mobile device. The SMS inbox will transform into a host of mini-applications and become a direct conversation link between consumers and brands allowing 1:1 direct marketing. They are working closely with brands using their platform to deploy these messaging experiences.